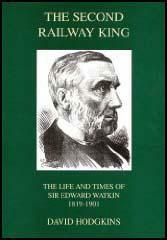 In 1833 Robert Stephenson was appointed chief engineer of the London & Birmingham line. 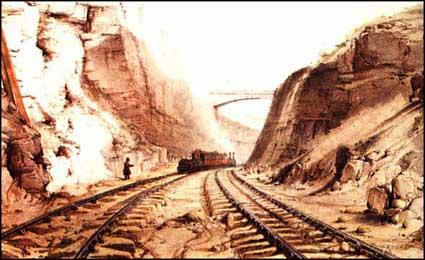 This was the first railway into London and involved solving difficult engineering problems. One of the most difficult was at Blisworth near Northampton. 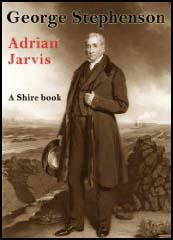 Stephenson's team of navvies had to cut their way through 1.5 miles of rock. Underneath the top layer of stone was a thick bed of clay, under which was found large amounts of water. Steam engines were used to pump out the water and two locomotives were put at each end of the cutting, to drag away the excavated rock and clay. While this was going on, 800 men were busy digging, wheeling and blasting. By the time the cutting was finished, over 3,000 barrels of gunpowder had been used. It was calculated that over a million cubic yards of material was dug, quarried or basted out at Blisworth Cutting.